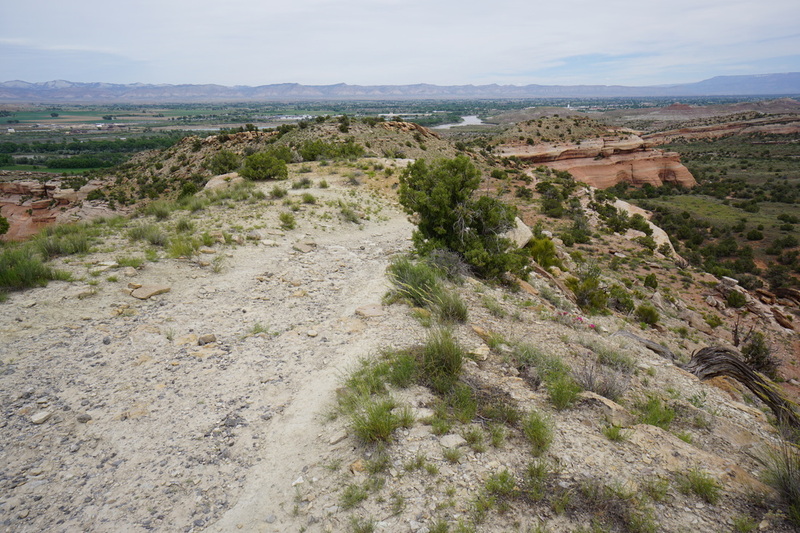 Directions: From Fruita and I-70, head south on 340 through two traffic circles and cross the Colorado River. 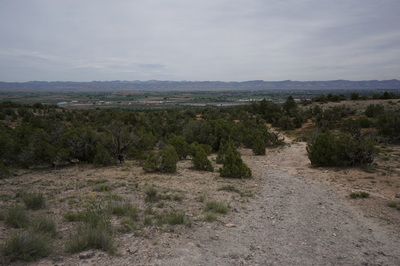 Turn right (west) on Kingsview Road. 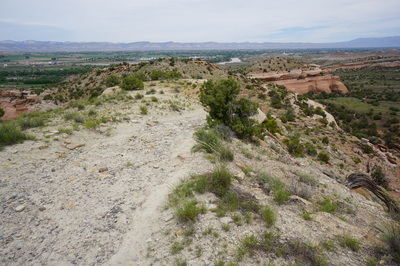 The road will soon turn to a good dirt road and you'll see an entrance sign for McInnis Canyons NCA. The Pollock Bench Trailhead is at the end of this road, roughly 3 miles from the entrance sign. 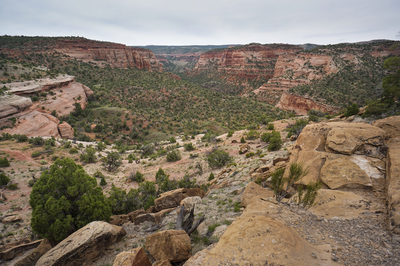 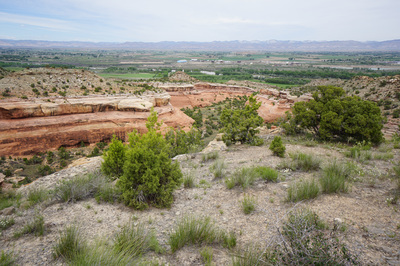 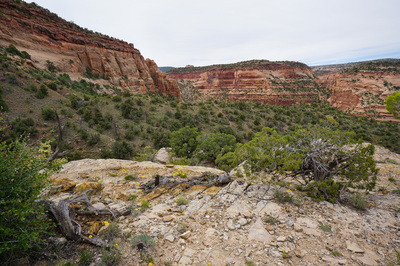 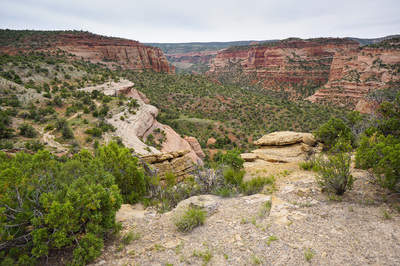 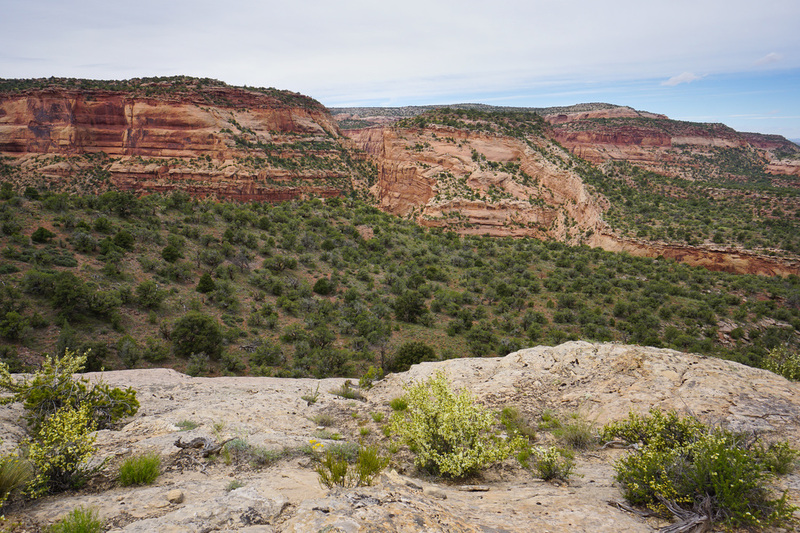 The Pollock Bench Loop trail is a moderate 7 mi (RT) hike that follows the rim of the Pollock Bench, a land feature that overlooks two canyons in the Black Ridge Wilderness Area. 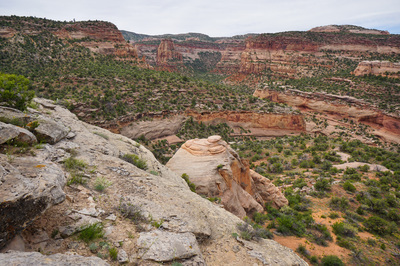 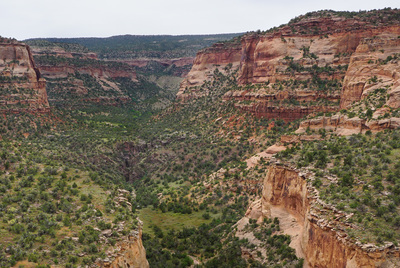 The hike starts by climbing to the rim of Flume Canyon and shifts to the west to follow the rim of Pollock Canyon back to the trailhead. 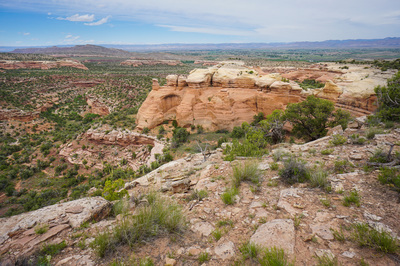 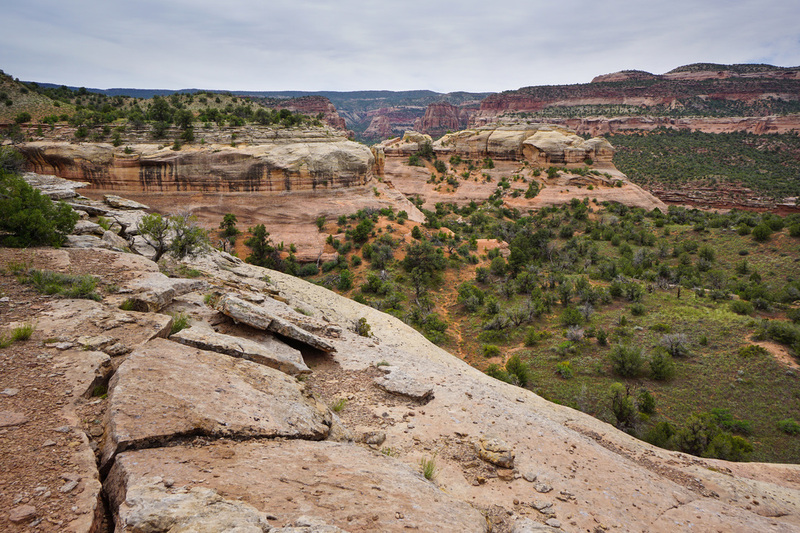 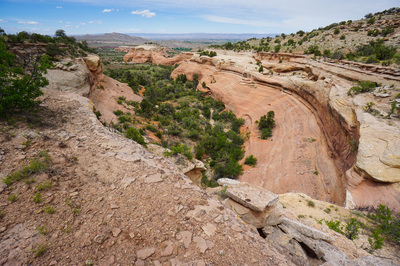 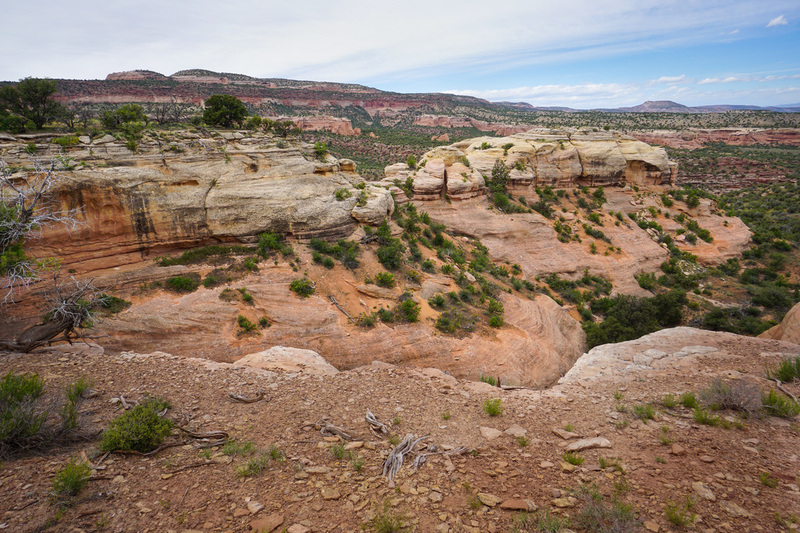 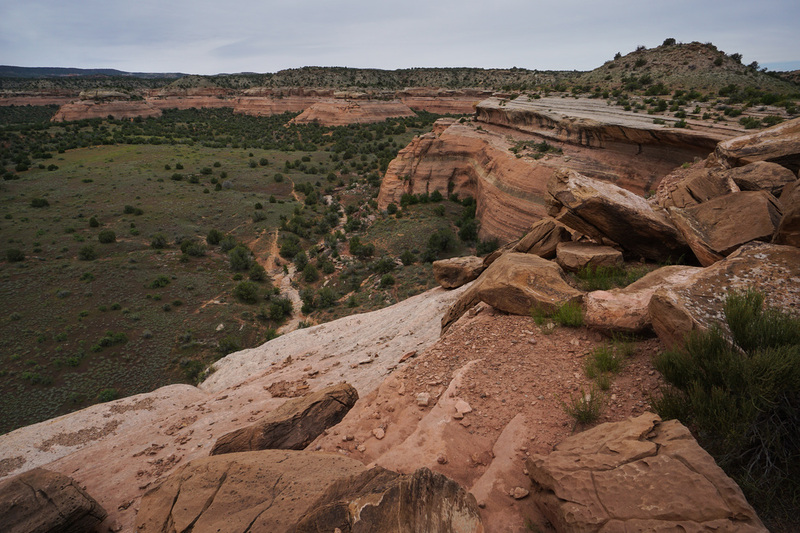 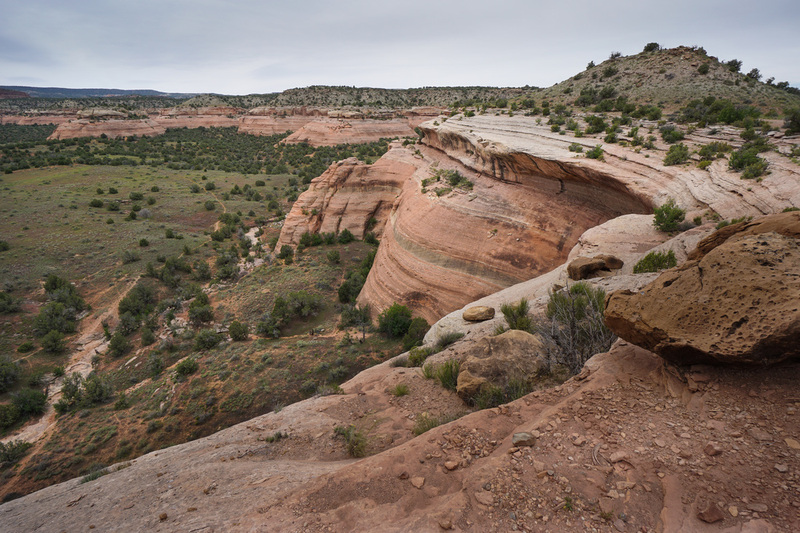 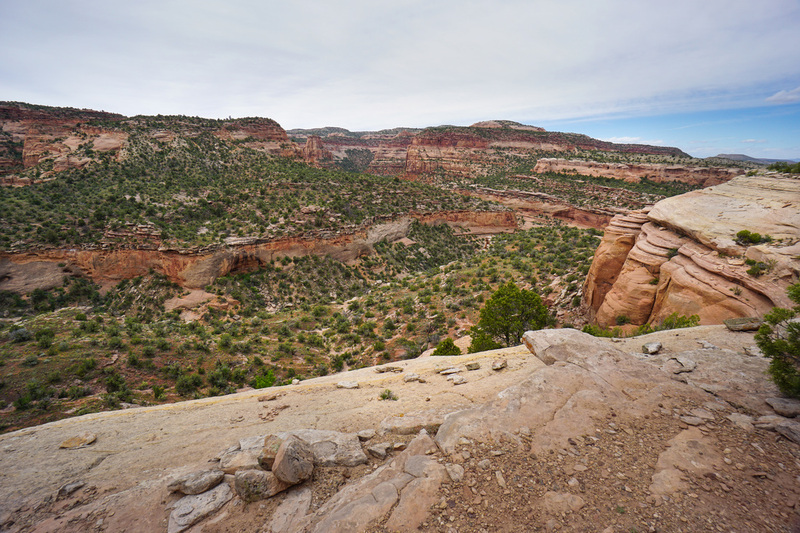 This trail also shares a segment with the trail to the Rattlesnake Arches (14 miles roundtrip). 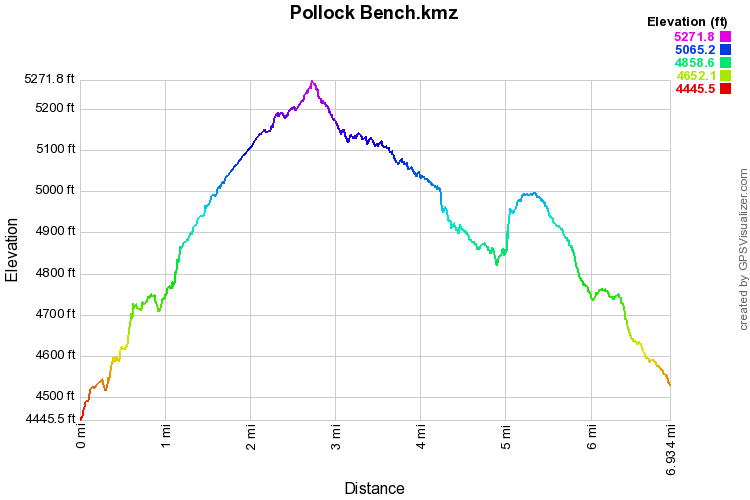 While the trail sees a fair amount of use, most hikers are heading to the arches so the Pollock Bench portion sees less congestion. This trail also provides access to the Pollock Canyon trail which appears, from this hike, to be very impressive. From the trailhead follow the main trail as it climbs up the gentle slopes of the bench, pass through a gate, and emerge at the rim of Flume Canyon. 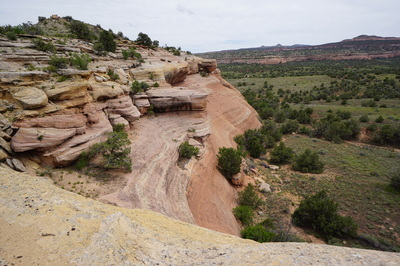 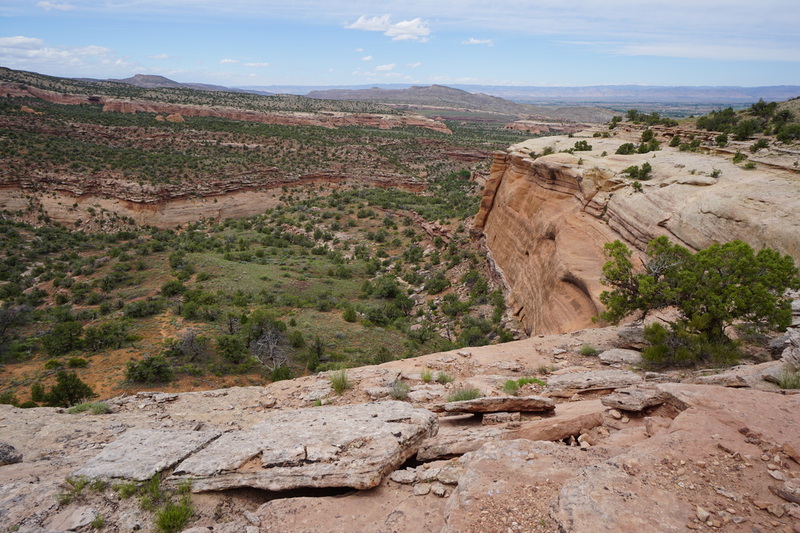 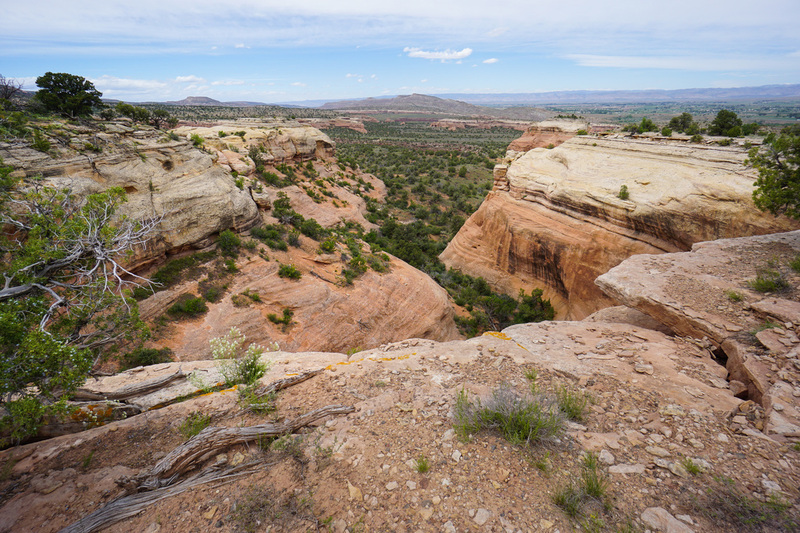 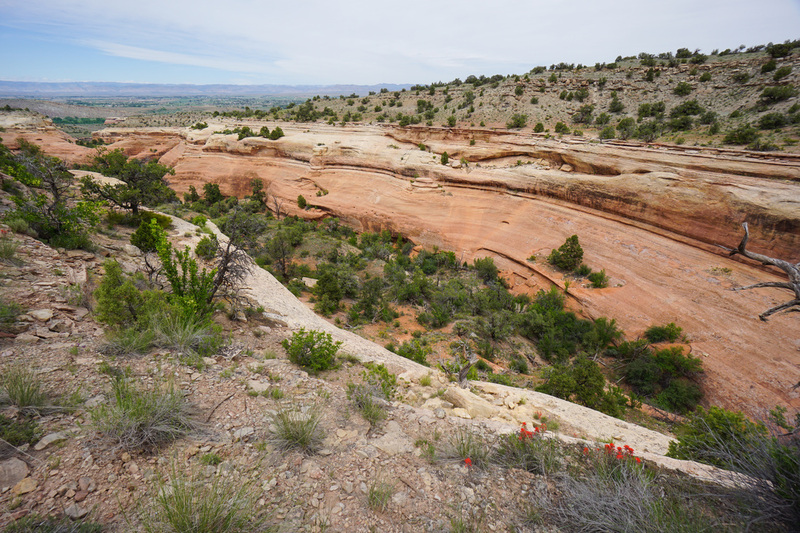 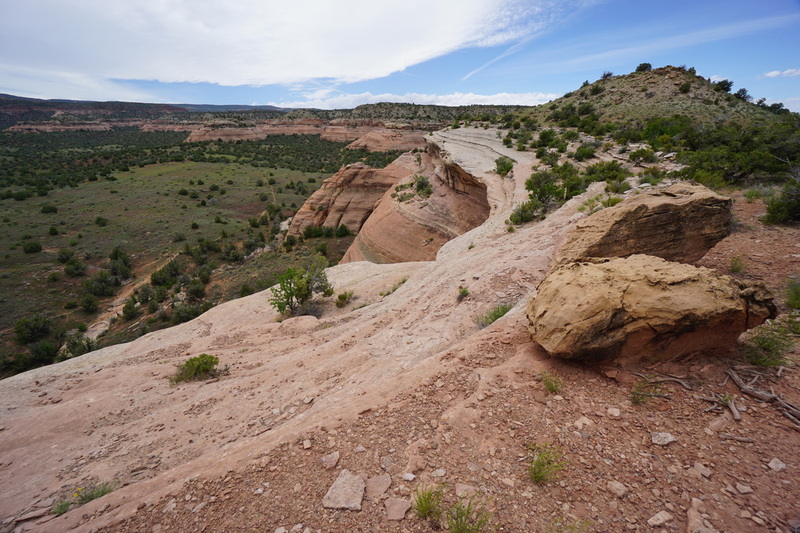 The impressive cliffs of the Pollock Bench are an interesting blend of desert geology and color. The red rock has been shaped by wind and water into a rounded “bell” shape which continues around the entire land-form. After following the rim for a little while, the trail climbs to the top of the bench where you start the Pollock Bench Loop. 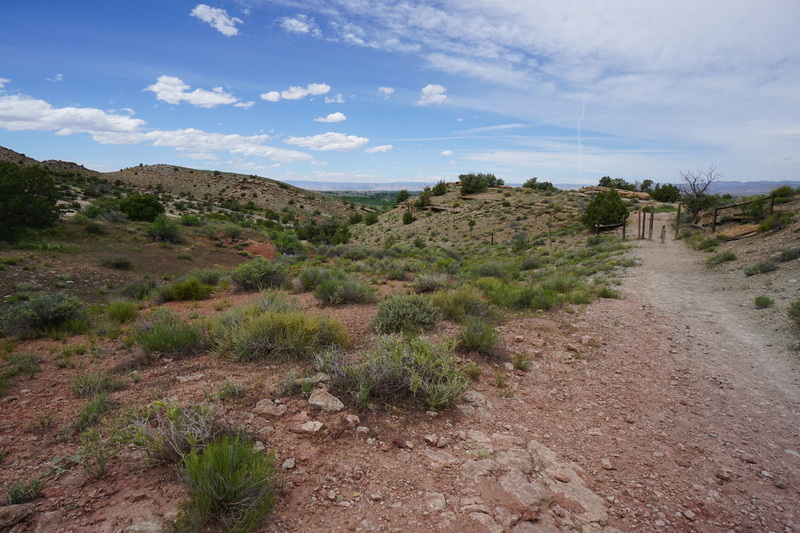 The really scenic part of the hike is to the right (west) and it is up to you if you want to save the best segment for last, or start out this way. 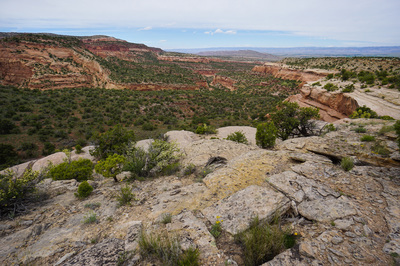 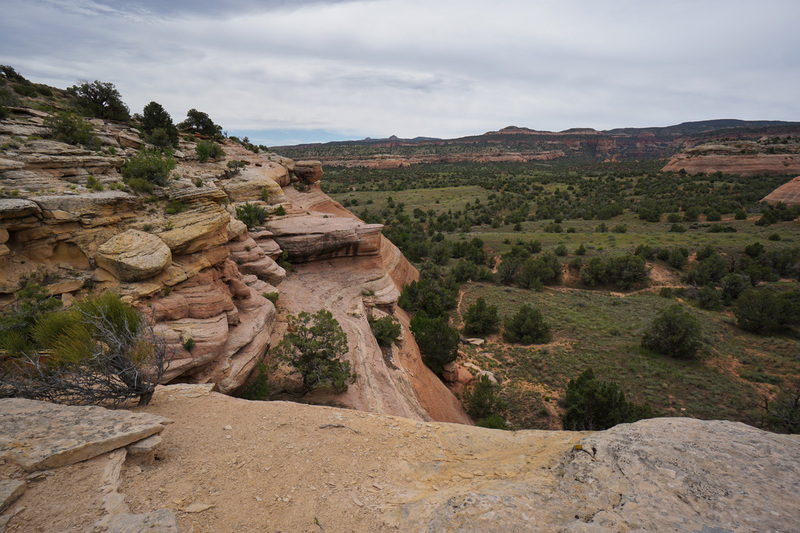 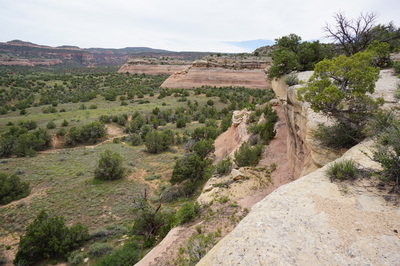 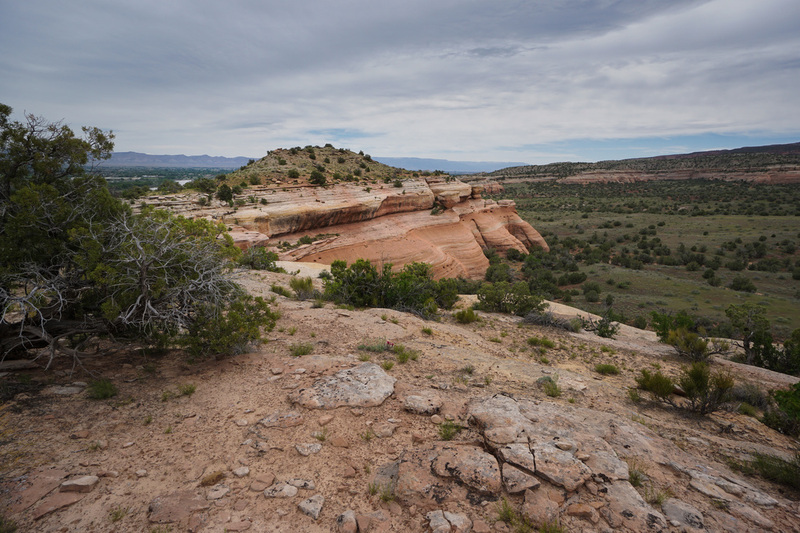 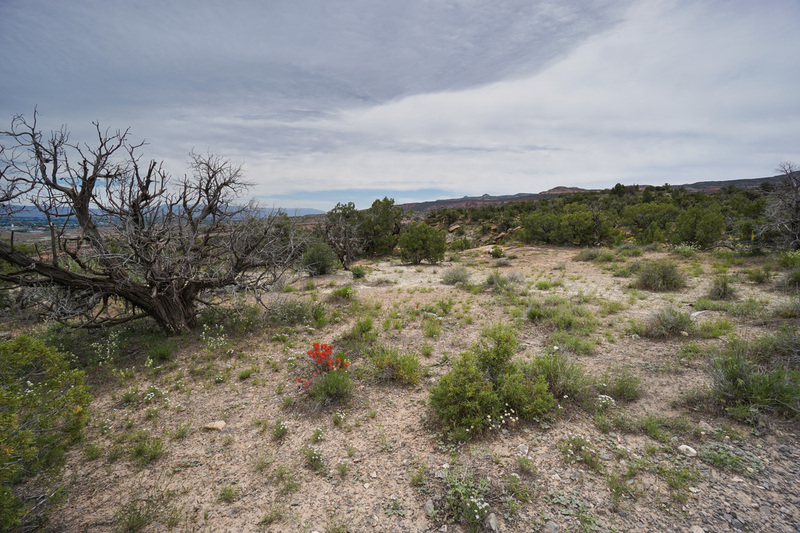 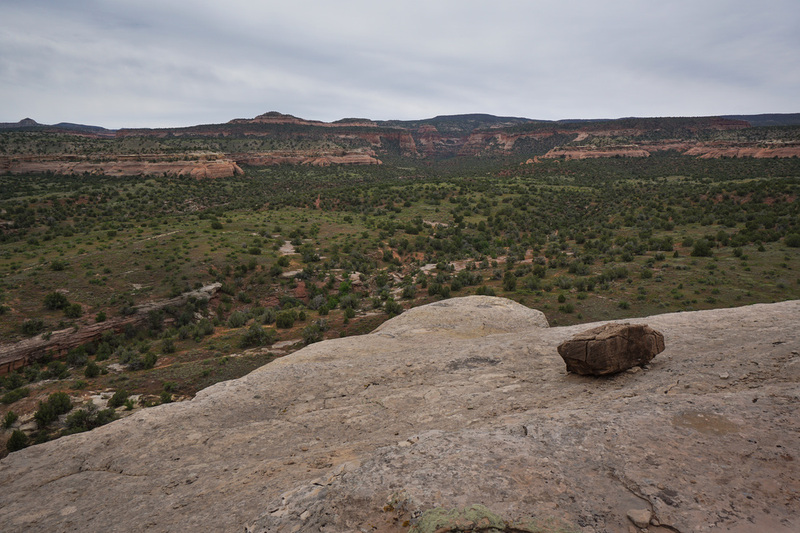 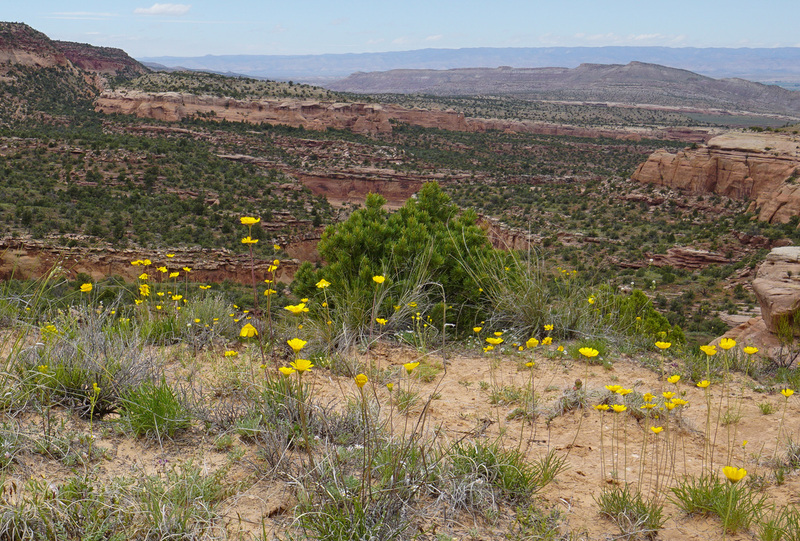 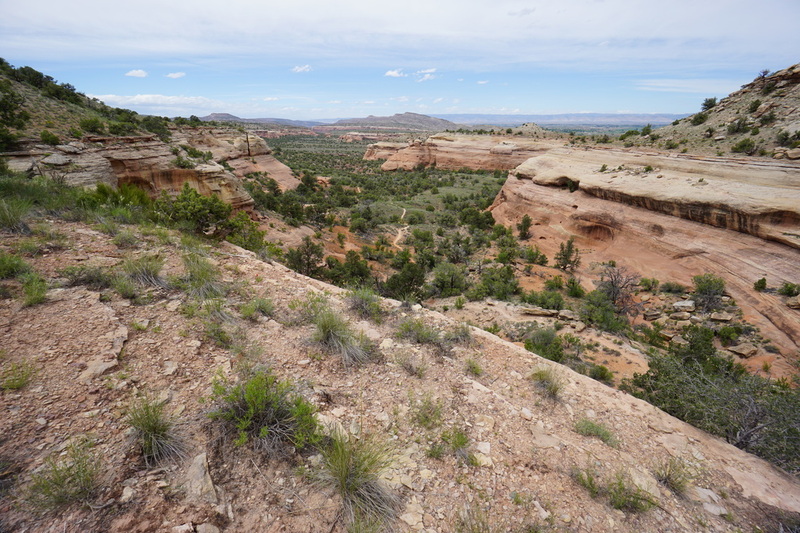 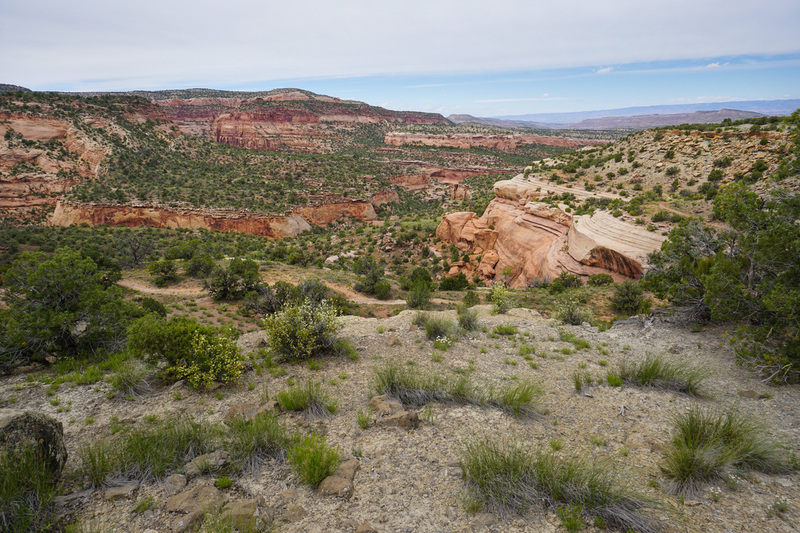 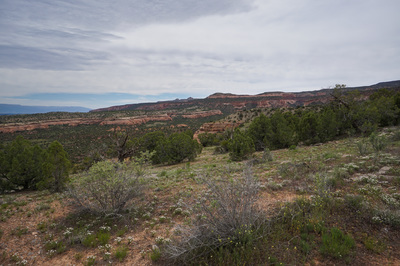 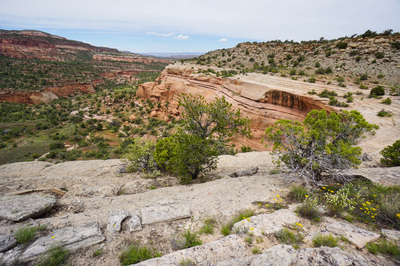 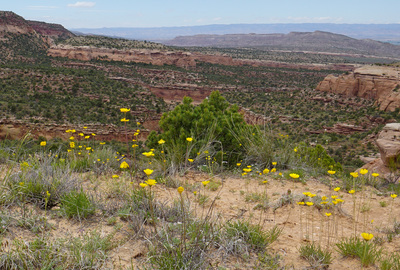 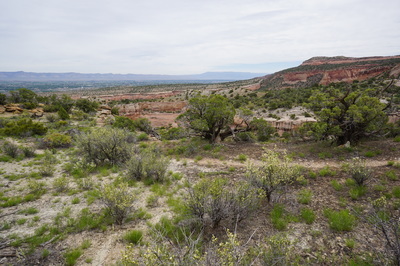 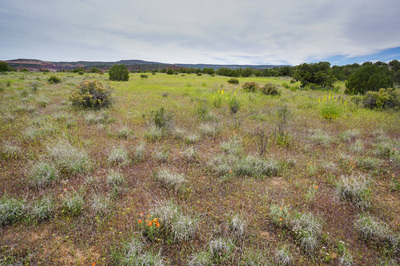 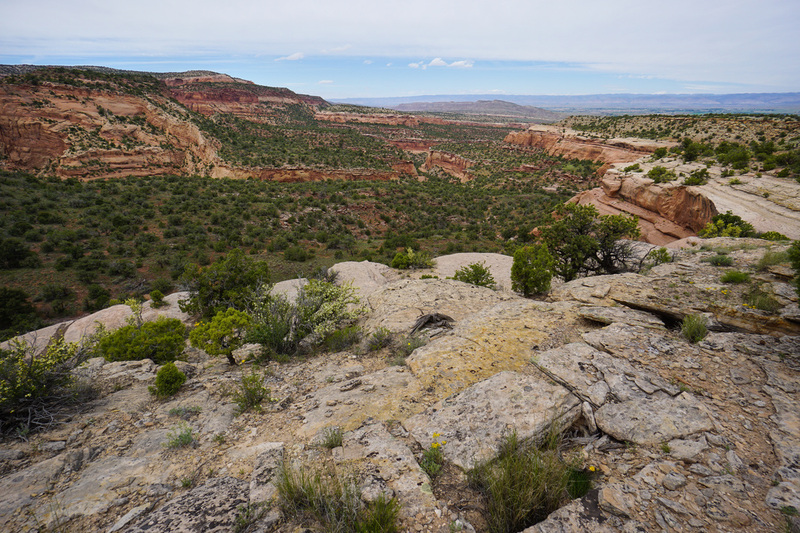 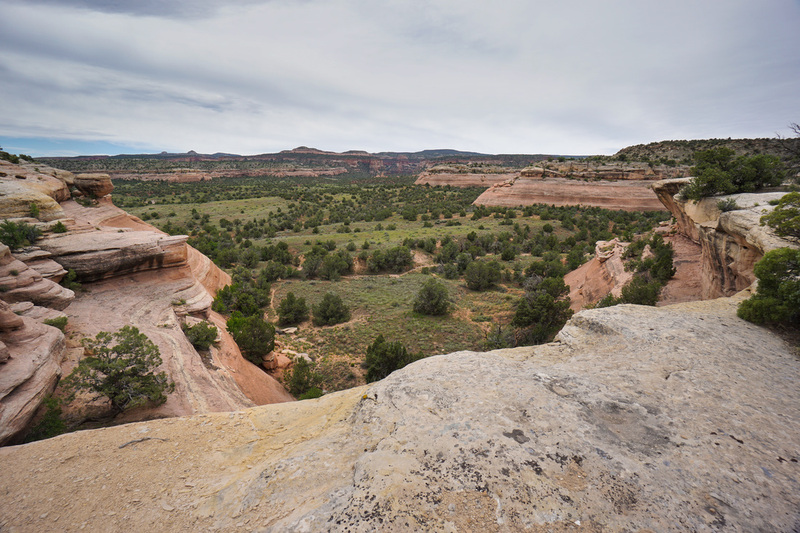 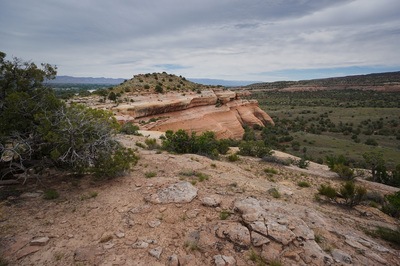 The eastern part of the trail can get a little monotonous since you are hiking through a flat area of juniper scrub which, while pleasant enough, lacks the impressive views on the other side of the bench. 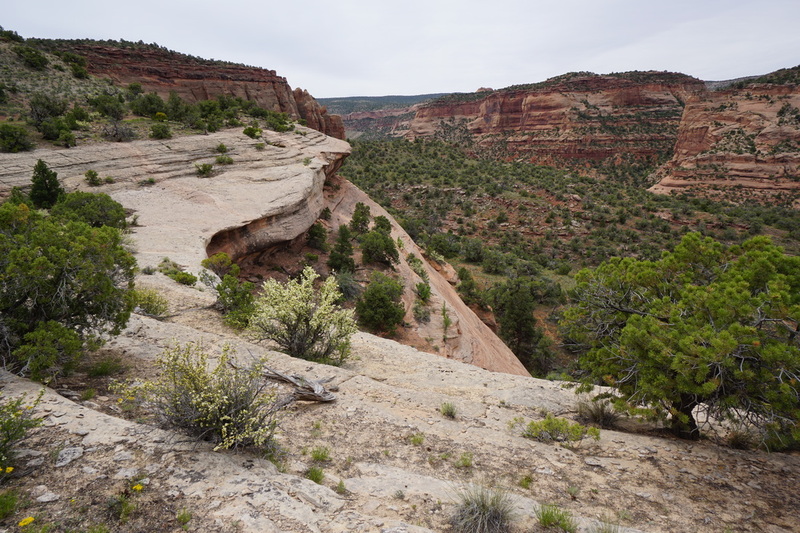 For this description, the loop is hiked clockwise starting with the scrub area and finishing along the bench rim. 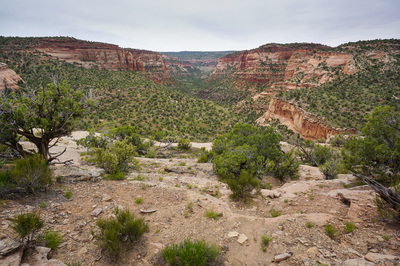 The trail crosses over the top of the bench, until eventually you reach the southern end of the bench and rewarded with tremendous views of Pollock Canyon. 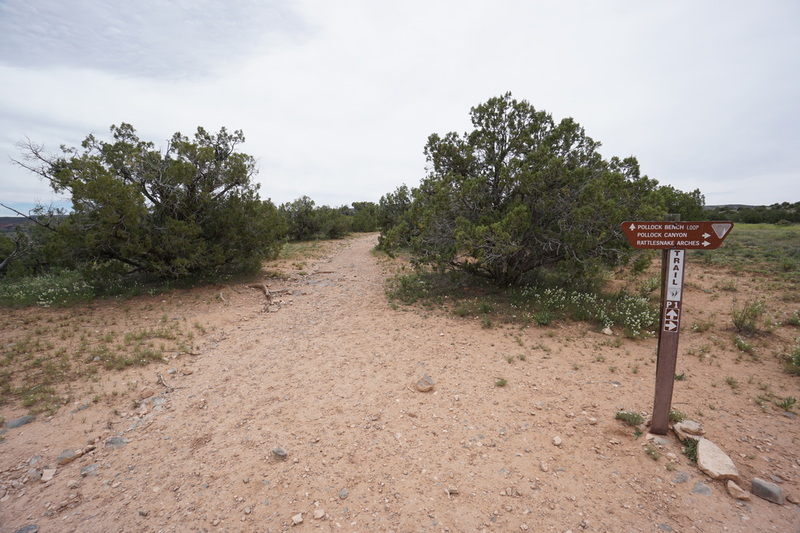 When you reach the southern terminus of the Pollock Bench, there is a trail junction. 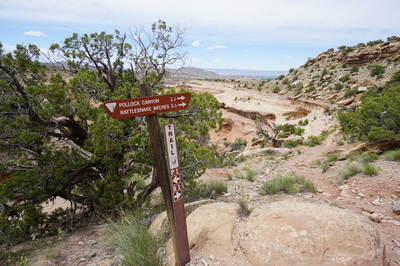 Turning left (east) leads you to Flume Canyon while turning right (west) continues the Pollock Bench Loop. Side note – if you want to hike the Pollock Canyon trail, you need to head towards Flume Canyon where the Pollock Canyon trail will then branch off. 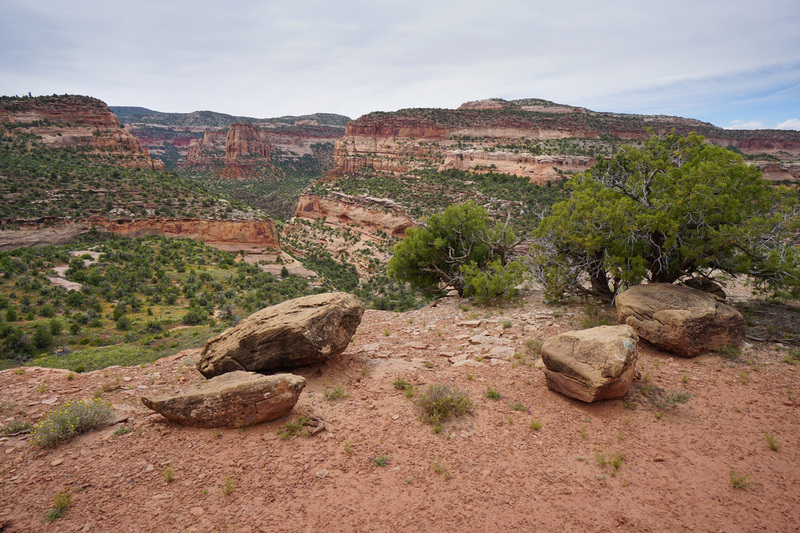 Turning to the west, you start to follow the western rim of Pollock Bench. From here, the hike is absolutely stunning. 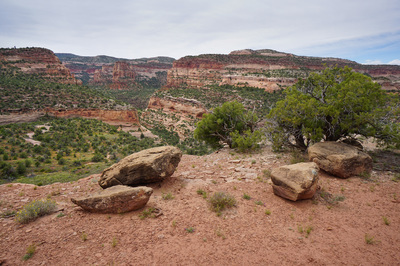 The views of Pollock Canyon and the rounded red rock bench walls are outstanding. 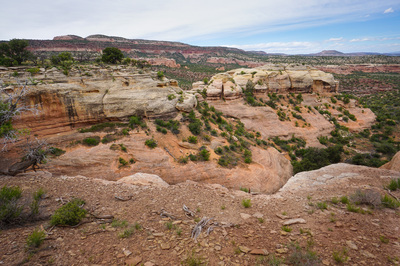 Weave in and out of side canyons following the rim until you reach the junction with the Rattlesnake Arches Trail. 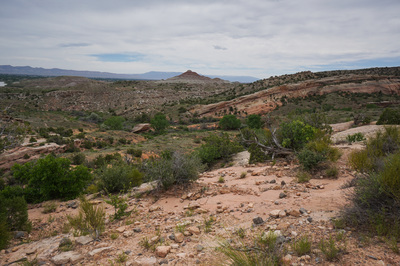 Before you reach the official trail to Rattlesnake Arches, there is an equestrian cut-off trail. 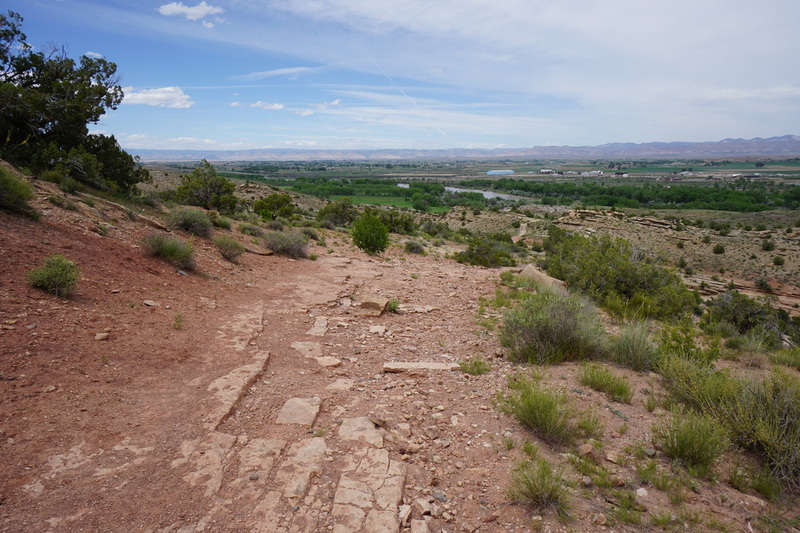 You can take this trail if you want to cut off a bit of distance and avoid some simple rock scrambling along the main trail. 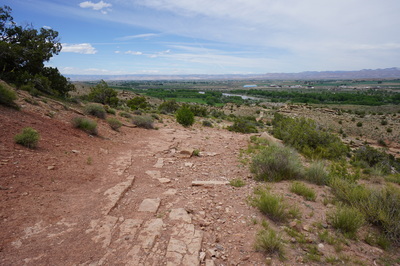 However, I suggest staying on the main trail as it has some great views and the scrambling is fun. When you reach the trail sign for the Rattlesnake Arches trail, look for the faint trail to the right that switchbacks up the cliff wall. When you reach the top of the bench continue through scrub to finish the loop. The trail then heads back the way you came as you return to the trailhead. The Pollock Bench Loop is fascinating because unlike some of the other big hikes in the McInnis Canyons NCA, you are looking down on the canyons, rather than hiking through them. The views are wonderful and the hiking is relatively easy, making this a great way to explore this area from a birds eye view.